C: QSI683 and Moravian G2-8300 with Baader RGB, IDAS LP for luminance and Astrodon 3nm Ha filters. ​Totalling 64 hours and 35 minutes in exposure time. Messier 81 (also known as NGC 3031 or Bode's Galaxy) is a spiral galaxy about 12 million light-years away, in the constellation Ursa Major. Messier 81 was first discovered by Johann Elert Bode on December 31, 1774.. Consequently, the galaxy is sometimes referred to as "Bode's Galaxy". In 1779, Pierre Méchain and Charles Messier reidentified Bode's object, which was subsequently listed in the Messier Catalogue. Most of the emission at infrared wavelengths originates from interstellar dust. This interstellar dust is found primarily within the galaxy's spiral arms, and it has been shown to be associated with star formation regions. M82 (also known as NGC 3034, Cigar Galaxy) is a starburst galaxy approximately 12 million light-years away in the constellation Ursa Major. M82 was first discovered by Johann Elert Bode on December 31, 1774 together with M81. 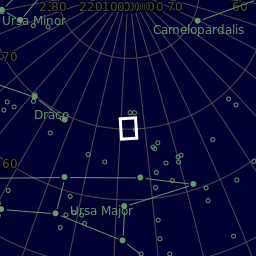 M82 is being physically affected by its larger neighbor, the spiral M81. Tidal forces caused by gravity have deformed M82, a process that started about 100 million years ago. This interaction has caused star formation to increase tenfold compared to "normal" galaxies. 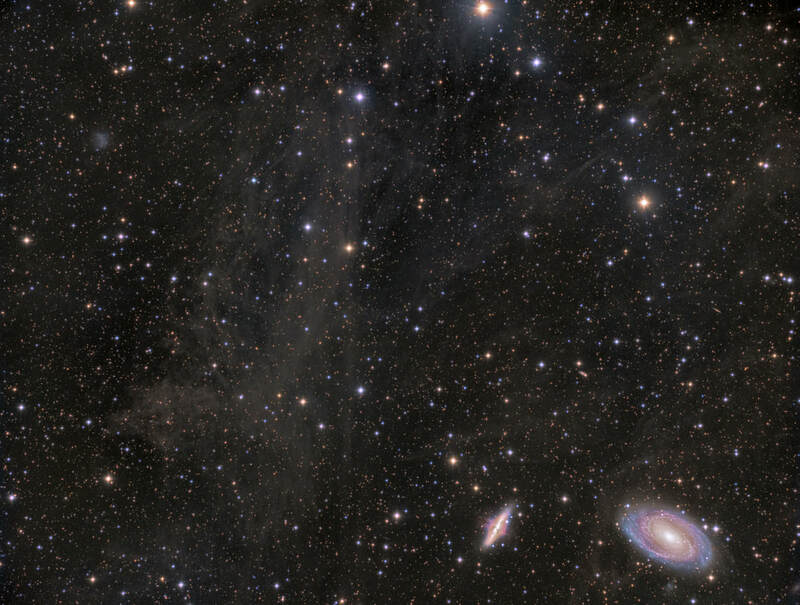 The two galaxies in this image appear wrapped in a gauzy network of nebulosity. This is the integrated flux nebula (IFN), it is an extremely faint glow caused by the combined light of the stars of the Milky Way reflected and re-emitted by interstellar gas and dust. 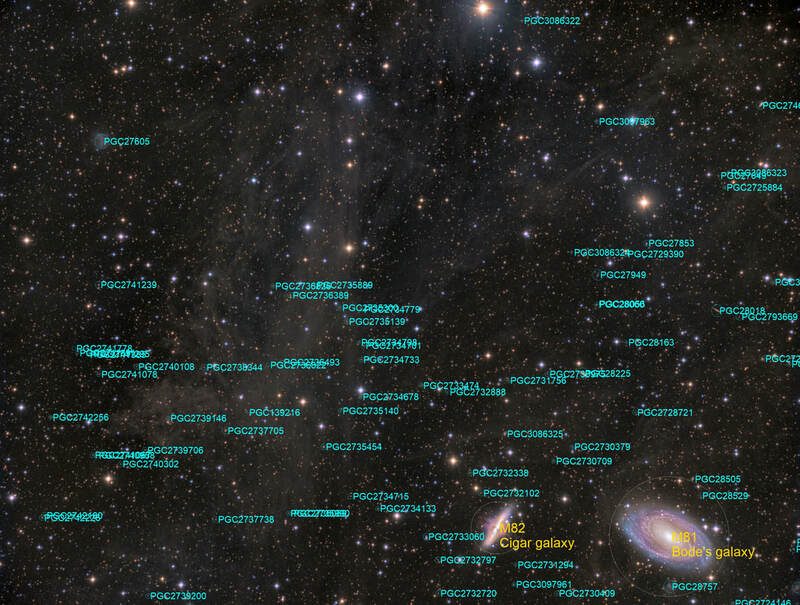 It’s most easily seen in images far from the starry plane of the Milky Way. The IFN consists of blue starlight scattered by interstellar dust, as well as red light emitted by interstellar atoms and molecules.